Taking a shot directly across the credit card industry’s bow, Kroger’s California subsidiary Foods Co will no longer accept Visa as a form of payment. Effective August 14, 2018, the Visa payment option will vanish from 26 Foods Co stores and fuel centers. It’s a strong first punch from the chain in retail’s continuing weariness over the estimated $90 billion paid in swipe fees every year. “Our customers consistently tell us that one of the most important factors in choosing Foods Co as their supermarket of choice is our low prices,” wrote Bryan Kaltenbach, president of Foods Co, in a news release. 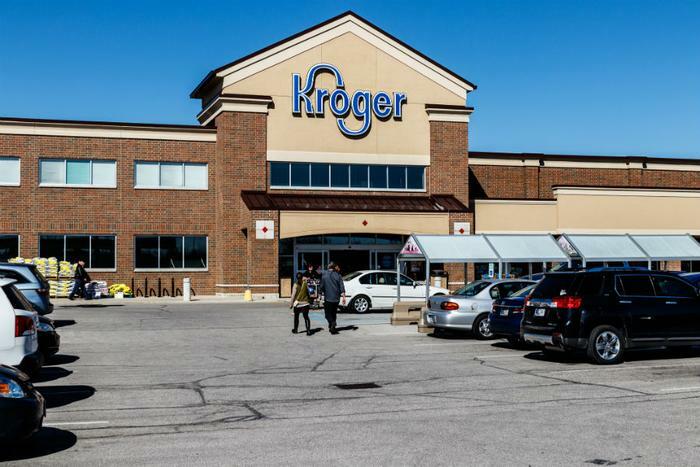 Kroger CIO Chris Hjelm said in an interview with Bloomberg News that Food Co’s parent company might follow in its footsteps. Foods Co customers will still have plenty of available payment options at retail locations, including Visa debit cards, SNAP, MasterCard, American Express, Discover credit cards, and, naturally, cash and checks. The National Retail Federation (NRF) reports that swipe fees are often cited by retailers as the second or third highest cost behind wages and health benefits. Industry profits barely get over the 2 percent mark, and the added expense of credit card costs are usually passed on to consumers in the price they pay for goods. By the NRF’s estimate, the typical household is quietly charged with hundreds of dollars in additional expenses per year thanks to price markups retailers use to offset swipe fees. Swipe fees average around 2 percent but can be double that for premium rewards cards. VISA and MasterCard establish the fee structure, and participating banks issuing the cards agree to charge the same. In a statement to ConsumerAffairs, R.K. Hammer -- Chairman and CEO of the credit card advisory firm Payment Industry Consultants -- said that Kroger's decision is likely more of a challenge to Visa over its swipe fees. "Eliminating the largest payment brand in the world may not be something that Kroger’s shoppers will at all appreciate. I suspect that the 'test' being done in one tiny network of Kroger’s affiliates is designed to get Visa’s attention, and perhaps restructure a more acceptable, lower swipe fee. Maybe it will work. Maybe it will backfire. Time will tell," he said. Kroger is not the first retailer to try and bring a credit card company to its knees. In 2013, merchants in New York challenged the constitutionality of a state law forbidding merchants from imposing a surcharge on any customer who pays with a credit card. And, just last month, the U.S. Supreme Court ruled that American Express' credit card rules for merchants, and the fees that it charges, do not violate antitrust laws. The grocery giant’s volley comes on the heels of Walmart's move to jettison Synchrony Financial after the two couldn't agree to terms. Amazon is also said to be in talks with JPMorgan Chase, Capital One, and other banks and financial firms about creating a “checking-account-like” product for its customers, a move that could save the company $250 million. Despite all the pushback against the credit card industry, Visa seems undaunted. Last year, Visa reportedly offered thousands of dollars to small merchants if they agreed to stop taking cash.